After 2008, a new kind of fund came into existence. It has since carved out a little niche for itself in the extremely competitive world of money management. These types of funds are generally called tail-risk funds. They attempt to protect against worst-case market selloffs, also known as black swan events. Why did tail-risk funds start in 2008? After the financial crisis of 2008-2009, and particularly with what happened to Lehman Brothers, demand developed for a way to protect against highly unlikely events. Prior to Lehman, what occurred in 2008 was basically unthinkable. So what do tail-risk funds do? Every fund is going to have its own take (i.e. strategy) to protect against black swan events. But, the general principle is going to involve owning some instrument that does well in a market meltdown scenario. In normal times, this instrument is likely to lose money. 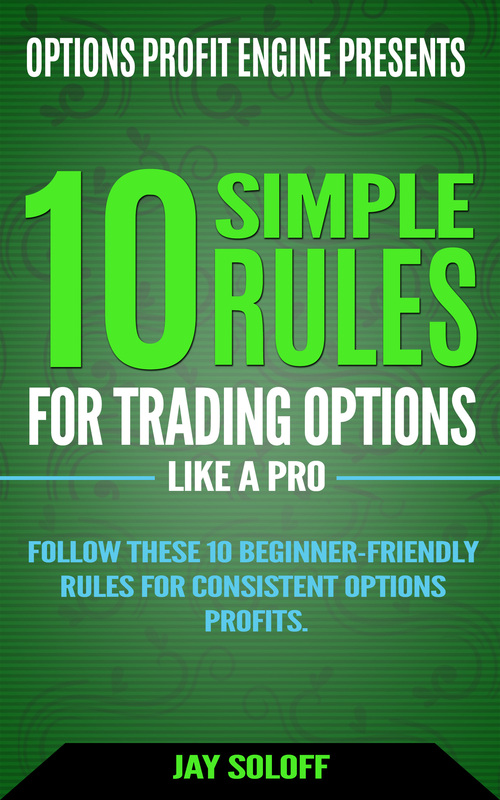 Most options traders probably recognize that I’m referring to far out-of-the-money options. I imagine every tail-risk fund owns at least some index puts which are far away from the current price of the index. These options will certainly lose money regularly with time decay, but could pay off big during a collapse. On top of OTM puts, the funds may also buy calls on volatility products. They also are likely to park their remaining funds in government bonds. The idea would be to earn some interest on the money under management to counter what’s lost to time decay in owning options. To give you some context on how tail-risk funds can perform, here are some numbers to consider. During the peak of the China crisis in August 2011, tail-risk funds made 27% on average. But, during the extremely low volatility year in 2017, the funds lost money almost every month and 14% for the year. Speaking of black swan events, I came across a trade just recently that looks like it could be the sort of strategy used by a tail-risk fund. 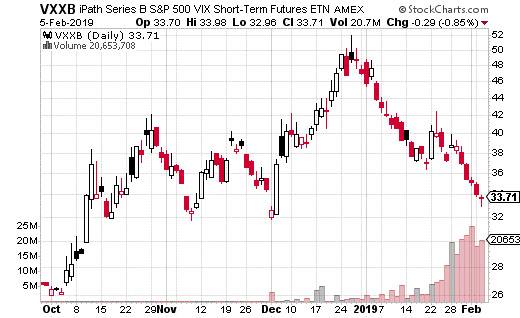 A strategist purchased a very far out-of-the-money call spread in iPath Series B S&P 500 VIX Short-term Futures ETN (NYSE: VXXB). VXXB is the replacement for VXX which just recently expired. It’s the most popular volatility product which tracks short-term volatility using VIX front-month futures. The trader bought 15,000 of the VXXB June 21st 75-80 call spreads for just $0.11 with the VXXB share price at $33.62. At just 11 cents, the spread (buying the 75 call and selling the 80 call) cost just $165,000 for all 15,000 spreads (which is also max loss potential). Still, that’s $165,000 for something that is nearly impossible to occur. What could cause short-term volatility to jump something like 250%? Obviously it would be some very negative and unexpected news. It’s unlikely but not impossible, as we saw in 2008, 2011, and even February of 2018. Back to the trade, the breakeven point is $75.11 which means max gain is $4.89. In the extreme scenario where the spread hits max gain, the trader would make $7.3 million or 4,445% gains. Now, the fund or strategist who made this trade is not expecting to make those returns, but rather protect against a highly improbable event. Still, if you are the type that believe in tail-risk hedging, this is certainly a cheap way to do so. Whether or not you hedge against black swan events is a personal preference – but it’s definitely something you don’t want to overallocate funds to.